If you never have time to clean your oven and you are sick of the greasy stains from food, then don’t waste any more time and dial the number of our agency. We are among the best in the performance of professional oven cleaning not only in Wimbledon SW19, but in other parts of the city of London too. We can make your oven look good again and we will need no more than a couple of hours to achieve amazing results. Call and reserve one of our excellent procedures and we promise that you won’t have to worry about the condition of your oven any more. Dial our number and we will arrive in your property in no time. Our experts will turn the cleaning of your oven into an easier task because they are truly the best. They have amazing skills and also the most effective equipment. You can count on them any time when you need effective disinfection. There is no need to worry about the condition of your appliance because our specialists will disinfect it entirely with their toxic-free supplies. 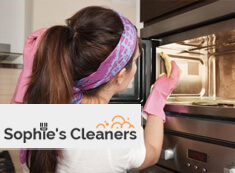 Whenever you need professional oven cleaning service with long-lasting effect, just contact us in Wimbledon SW19 and we will arrive immediately in your place. It is not a problem for us to take care of the sanitation of one of the most important appliances in your kitchen. In fact, we will be happy to take care of the safety of your family and we will do it as soon as you call us. Make a reservation now and our team will arrive in your property at the exact time you want. Once you book a cooker cleaning service with us in Wimbledon SW19, you will definitely decide to do it again. Don’t waste any more time and get in touch with our friendly operators.